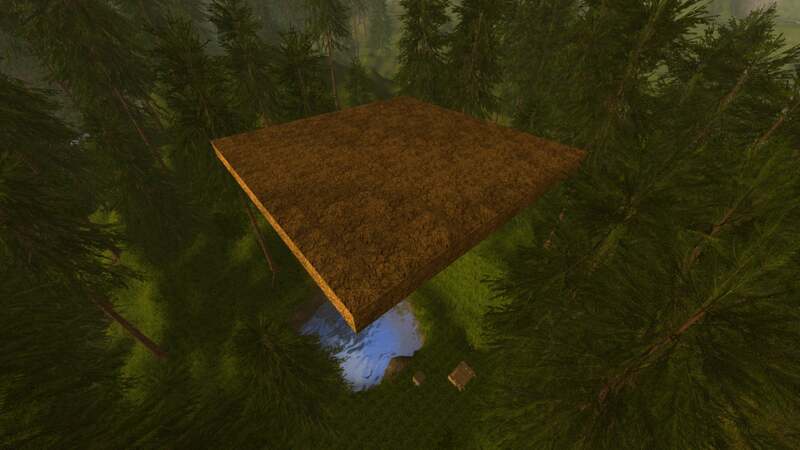 How to create a base for an isle in the sky in Rising World. I used the dirt block, but you can use stone or other material. Type gm 1 in the console if you’re in Survival Mode. Now go to your block bench and create the material you want. Place a single block on the ground. 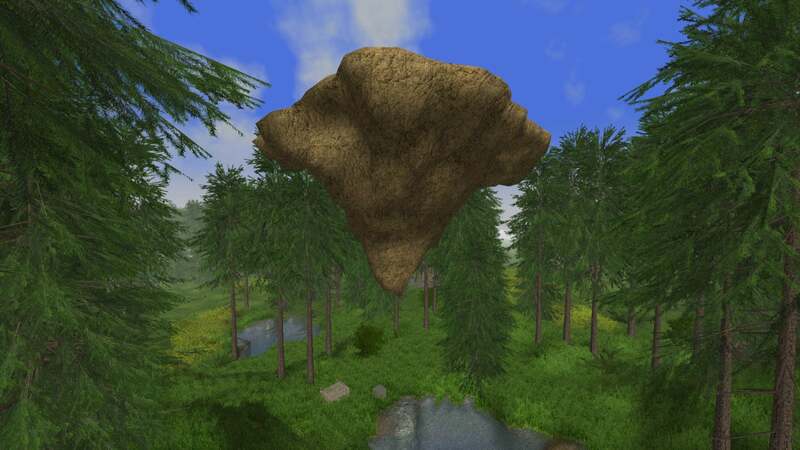 Hit F2 to fly and stack as many blocks as you want to reach the desired height of your island. Once that’s done, construct a square or rectangle around the topmost block. 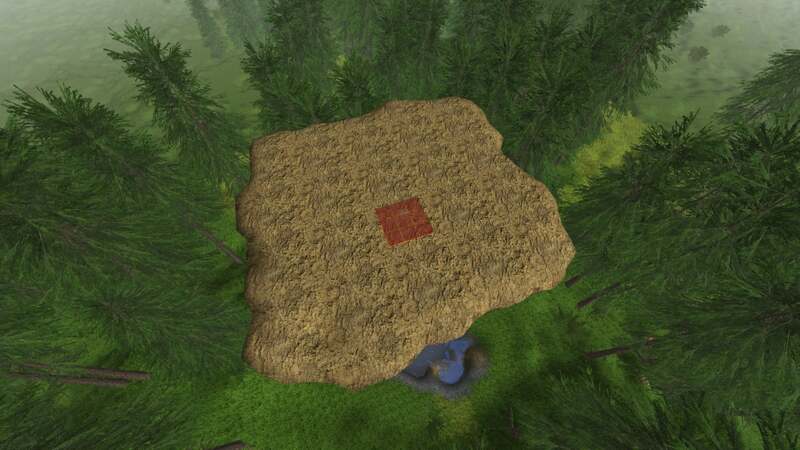 Now remove the stack of blocks until only the foundation remains floating. 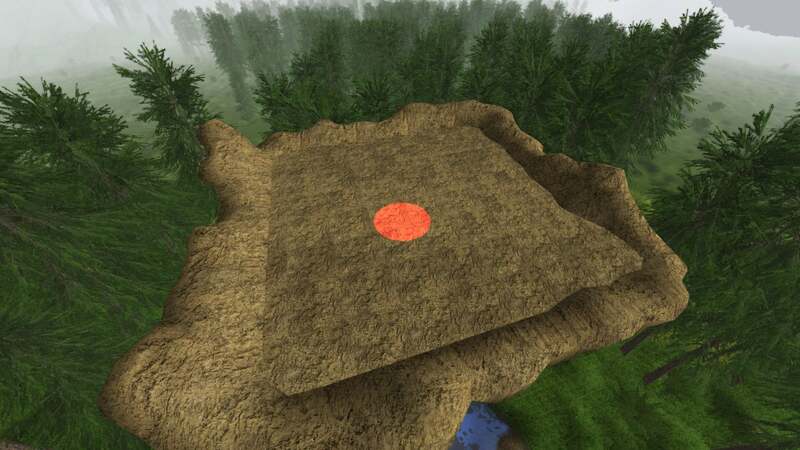 Now use the terrain tools to add material to the edges of the platform. Left-click adds material; right-click removes it. Now employ the terrain smoothing tool by hitting the RETURN key. If you’re not sure how these tools work, this can get pretty frustrating. But they are forgiving. If you screw something up, a right-click can undo a lot of grief. Lastly, fly underneath your isle and add a bunch of material, using the various tools to add, subtract, and finally smooth everything. This is strictly organic, so don’t get too persnickety in how this ends up. That’s it. Have fun in your Pie-in-the-Sky castle.